Introduced from Europe and first collected in 1890 in Washtenaw Co. 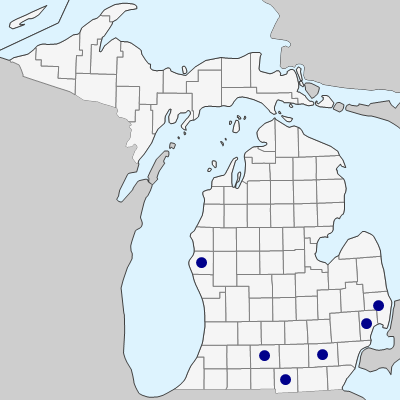 Occurs principally on leguminous hosts; the few Michigan collections are all from clover and alfalfa. Besides the specimens on which the map is based, several additional collections on clover may well be this species but are too immature for identification. MICHIGAN FLORA ONLINE. A. A. Reznicek, E. G. Voss, & B. S. Walters. February 2011. University of Michigan. Web. April 21, 2019. https://michiganflora.net/species.aspx?id=853.